Posted on November 8, 2008	by Linda S.
My DH asked me not long ago to try to make something that was entirely hand done by me… so this is it. The only thing that was not hand spun is the sewing machine thread that it is sewn with. 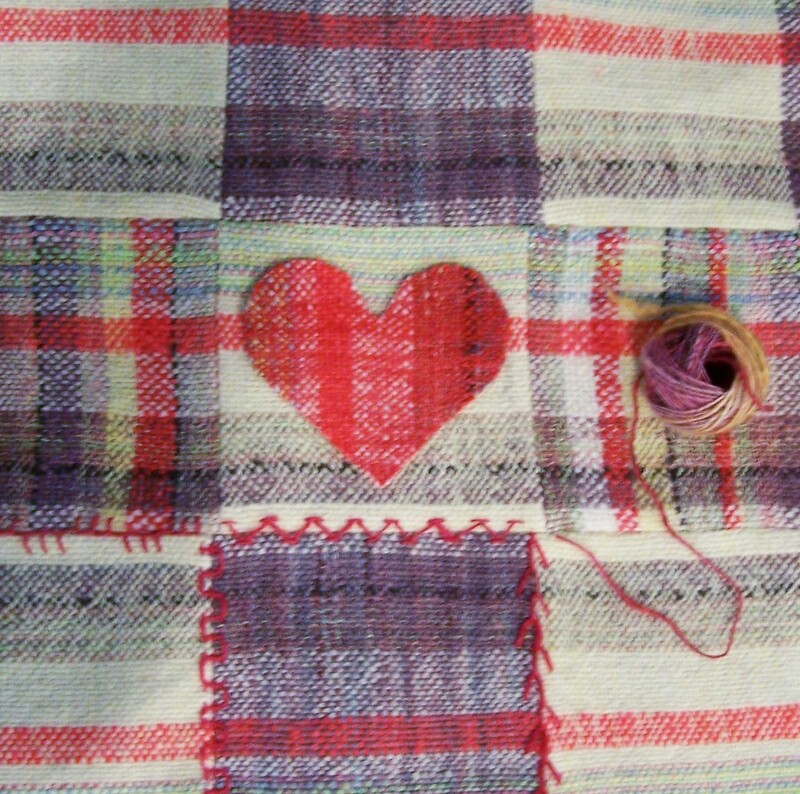 I finished the weaving after it reached 80″ long and cut it off the loom. Then the fabric was cut into twelve 5 1/2″ squares with a 16″ piece done in black/gray Icelandic wool that will be cut into strips for the edging. The embroidery is being done using a spindle spun single with the red being mixed wool and the gold being bamboo/mohair/wool mix. I worked on this last night and found that using the single (this is the first time I have worked with single spun anything) was much easier than I expected. I have some more mixed wool on the spindle now that will be dyed to use for more embroidery thread in other colors. This is definitely a “seat of the pants” design as I did not sit down and plan it out. 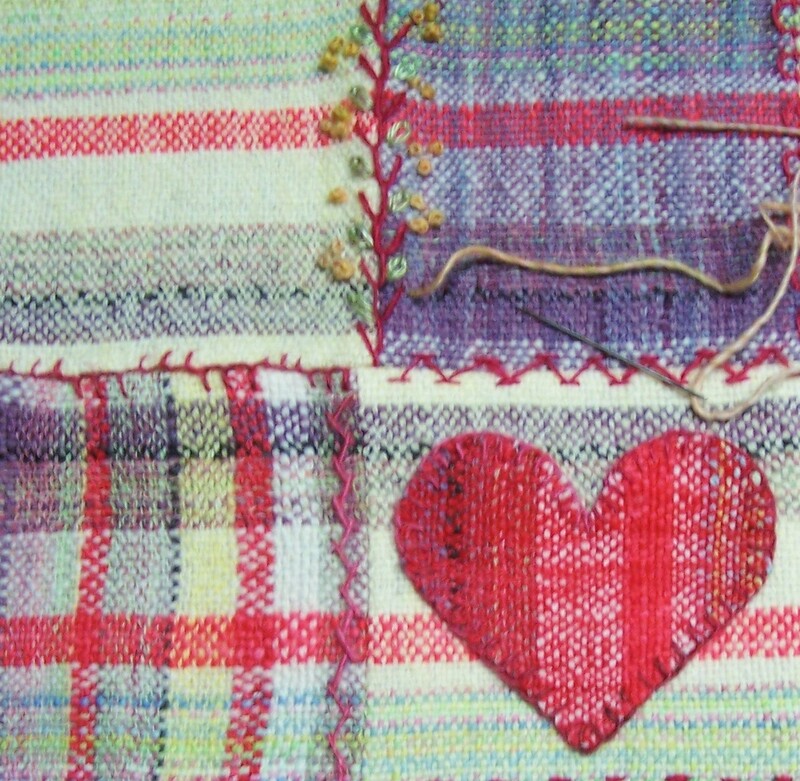 This entry was posted in Crafts, Dye Works, Embroidery, Handcraft, Handwork, Historical Textile, Needlework, Quilt, Sewing, Spindling, Spinning, Weaving. Bookmark the permalink. i bet hubby was pleased! It’s fun when they want something you’ve made, isn’t it? Mine has put in a request for a book — not a blank one, one with content — so I’m looking forward to that as soon as he provides me with the content!